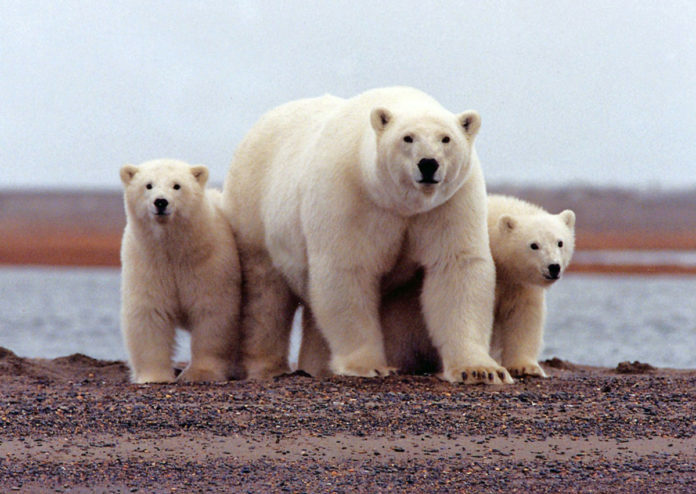 What brought the bears to land may be a decline in the seal population or the shrinking amount of sea ice that diminishes as the Arctic warms. Polar bears mostly live on sea ice, where they hunt seals as their main food. What brought them to land may be a decline in the seal population or the shrinking amount of sea ice that diminishes as the Arctic warms. Officials don’t have an immediate solution. Actions under consideration include relocating the dump that gives the bears a banquet and removing the bears. The scientists coming from the national natural resources agency will be equipped to sedate the bears and haul them away.